State Medicaid programs have expanded home and community-based services (HCBS). This article compares trends and variations in state policies for Medicaid HCBS programs in 2005 and 2010. State limitations on financial eligibility criteria and service benefits have remained stable. Although the use of consumer direction, independent providers, and family care providers has increased, some states do not have these options. The increased adoption of state cost control policies have led to large increases in persons on waiver wait lists. Access could be improved by standardizing and liberalizing state HCBS policies, but state fiscal concerns are barriers to rebalancing between HCBS and institutional services. ﻿﻿Ng, T., Stone, J., and Harrington, C. (2015). Medicaid Home and Community-Based Services: How Consumer Access is Restricted by State Policies. 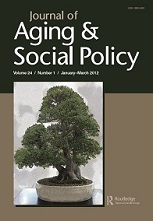 Journal of Aging & Social Policy, 27(1), 21-46.